Celebrated on the third Sunday of June every year, Father’s Day is dedicated to the recognition of the great contribution fathers and father-figures make in our lives. For most of us, especially in India, fathers are not as close to us as mothers. It’s usually mothers who openly show their love and affection towards the kids, and vice versa, but with fathers it is a little a different. Or maybe, you shared a closer relationship with your father than your mother; either ways DesiDime will make it special for you both by bringing you the best of every Father’s Day Sale, under one page, here. If picking a gift for moms is difficult, it is even more so in case of Dads. So, if you are confused on what to gift your dad on this special day, DesiDime is here to help with its wide spread of the most wonderful Father’s Day offers, deals and coupons on a range of products across various categories from numerous stores all over India. Why do you need to look for sale on Father’s Day offers? Why not? After all, our parents teach us never to pay more for what you can get for less. 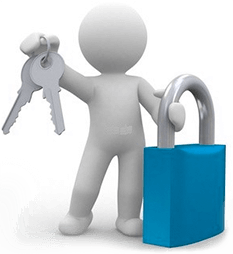 Plus, when you check out this crazy Father’s Day offers 2018 page of DesiDime, you realize you can buy a lot more gifts for your Dad without worrying about your budget. So, start browsing through the best of Father’s day offers that we bring you from fashion sites like Myntra Offers, Jabong Offers, Amazon offers, Ajio Offers and more for your dapper dad who loves his shirts, trousers, shoes and cufflinks. Here, you can also surprise your gadget-savvy dad with all the incredible Father’s Day offers and discounts on mobile phones, camera, tablets, laptops, electronics et al from Flipkart Offers, Tata Cliq Offers, Paytm Offers etc. For your foodie fathers, DesiDime brings you the most delicious Father’s Day coupons that you can use to order his favourite food, or to take him to his favourite restaurant. 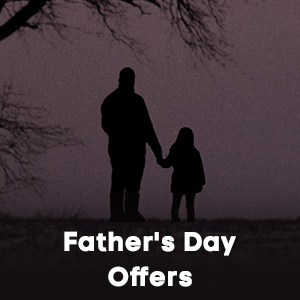 No matter, what your father loves- books, travelling, collectibles, sports, or anything else, DesiDime collates all the most exciting Father’s Day coupons and offers for every kind of Dad, right here. At DesiDime, you not only discover amazing Father’s Days offers, discounts and coupons but also a whole community of online shoppers, who helps you in making the best and most informed decision when you are looking for the perfect Father’s Day gifts online. The DesiDime forum members and users are always on the lookout for deals and discounts, and when they find something new they share it with everyone on the DD forums. As Father’s Day 2018 gets closer, there will be hundreds of stores offering great discounts on millions of products. How will you know which Father’s Day offers are better than the others? The answer lies with the DesiDime community. The members of DesiDime upvote/ downvote the deals and coupons posted by other members, suggest better bargains, compare prices of products across various stores and give some great shopping advice and tips every day. Father’s Day 2018 is going to be no different, and the DD community will let you know about the hottest Father’s day offers before anyone else, right here. So, here’s wishing you happy shopping to help you make Father’s Day 2018 the happiest one for your Dad as well as you.